Rose in Vale Country House Hotel is a pretty, Georgian country house set in a Cornish wooded valley, nestled into 10 acres of landscaped lawns and beautiful gardens. It is a wedding venue in Cornwall that I had the pleasure of spending the day at for the first time last year. This privately-owned upscale country house hotel is 2.8 miles from the coastal village of Perranporth and 9.9 miles from Newquay, situated in a small village called Mithian, which is in the administrative civil parish of St Agnes. The Rose in Vale’s history dates back to 1761 when Mr Thomas Nankivell bought the property (then a Cornish Long house consisting of two cottages) and added the Iconic Georgian frontage. Since then the property has changed hands many times with the current owners, James and Sara Evans, taking residence in 2006. They have continued to develop the hotel to a very high standard and are proud to call themselves a “Green Hotel”, using Solar and wood pellets as heat sources. Licenced for civil ceremonies in St Agnes and available for exclusive hire, Rose in Vale is a popular choice of wedding venue in Cornwall due to its secluded spot and can cater for both intimate ceremonies of up to 20 guests, to larger sized parties of up to 80 guests. 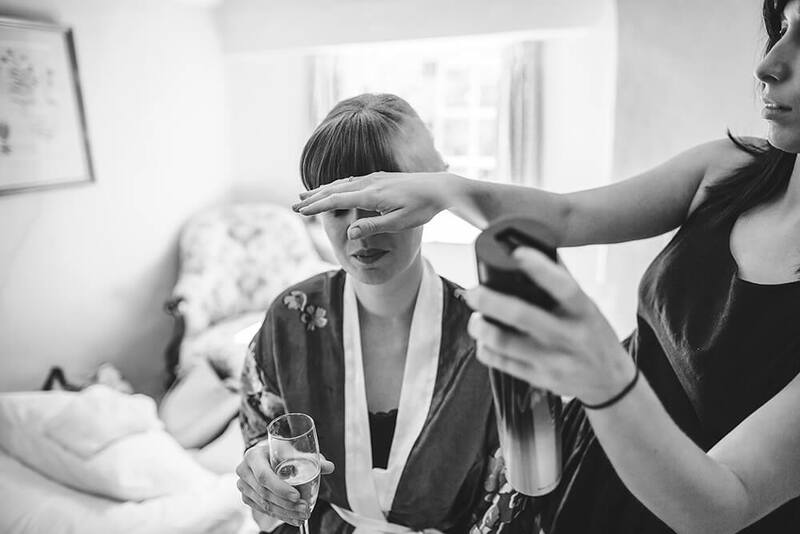 Every wedding is different and the Rose in Vale offers a bespoke service to suit. The venue’s picturesque woodland location make a perfect back drop for your country wedding, with plenty of opportunity for photographs within the grounds and beautiful gardens, which are filled with a variety of pretty flowering plants and trees. Ceremonies can be held either inside in their lovely Valley Room overlooking the gardens, or outside in the Summer House, situated within the perfectly landscaped lawns not far from the fruit bearing apple trees.